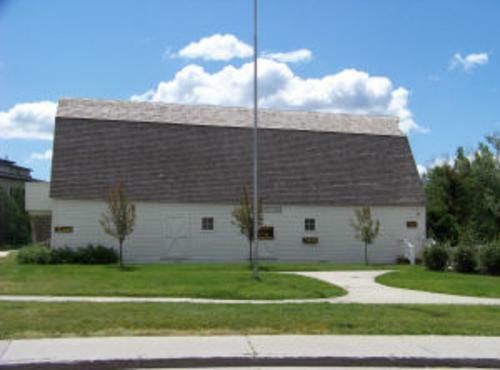 Barn converted into the Eagle County Historical Society local history museum. The white barn building that now serves as the Eagle County Historical Society local history museum began its life on the property that became the Chambers family ranch. It was located for most of its life about where the Burger King parking lot is today. We think that It was built in about 1905. Joe and Ross Chambers came to Eagle County from the Front Range in the late 1930’s. They had ranched east of Littleton, but were discouraged by drought, insects and fire. 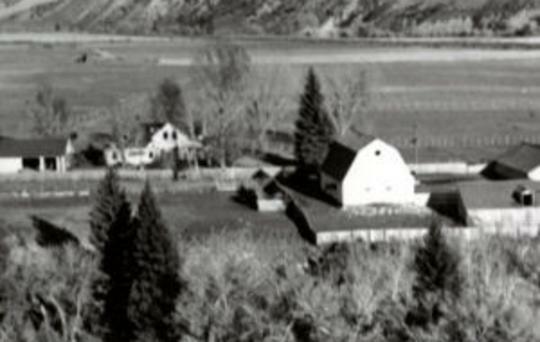 In addition to starting a ranching operation, the brothers purchased the Castle Peak Dairy from rancher Chester Mayer whose ranch was where the Eagle Ranch subdivision is now. At that time the barn was used as a horse barn. 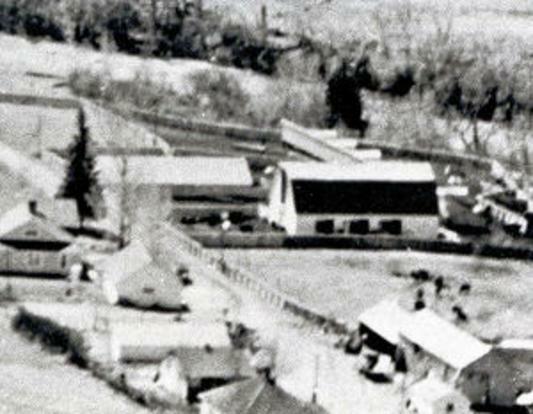 The Chambers ranch headquarters, including the barn were in the area where the Interstate 70 Eagle interchange is today. In 1970 the state of Colorado purchased a part of the ranch to serve as the right-of-way for the interstate highway. This purchase cut right through the Chambers ranch. When the right-of-way was mapped out and identified for the new Interstate 70 highway it became clear that the Chambers Ranch would be severely affected. The new highway would cut directly through the ranch. This historic barn would need to be destroyed or moved. Rancher Loren Chambers donated the building to the Historical Society with the stipulation that it be removed from the property (clearing the way for commercial development along the interchange). A “Save the Barn” group was formed in Eagle County and with a great deal of help from the Chambers family arrangements were made to create a city owned park with the barn as one of the main features. With help from the community, the Chambers family and the Town of Eagle, the building was moved to the Chambers Park in October, 1984.The museum was opened in 1989.